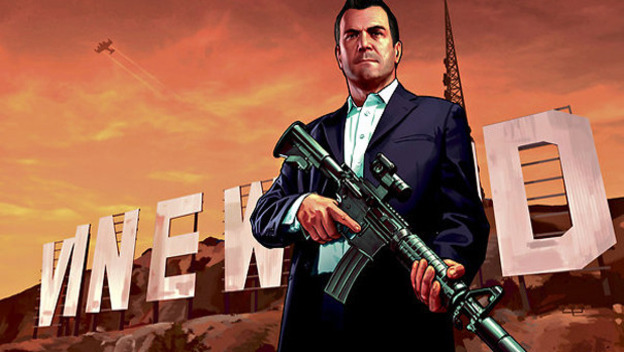 Did The New York Times Just Ruin GTA V? We here at Cheat Code Central like to think that we have the same level of journalistic excellence as the folks over at the New York Times, but those guys do manage to get their hands on a decent story from time to time. However, a few days ago they published an interview with Rockstar co-founder Dan Houser, and it makes me wonder if they're intentionally trying to ruin my life. In it, Houser managed to spill the beans on what could very well be an important factoid about the storyline in Grand Theft Auto V.
Now, I understand that the New York Times is just trying to do their job, but I doubt that they'd print the twist ending to an M. Night Shyamalan film. You just don't do that crap. But because I know you're all just going to go online and look it up anyway, I'm going to spill the beans here as well. So, if you're worried about spoilers, I suggest that you don't read the next paragraph. When discussing how the storyline has been interwoven between the three playable protagonists, Houser dropped this little nugget: "Just at the conceptual level, the idea was three separate stories that you play in one game. The next bit was, let's not have the stories intersect once or twice but have them completely interwoven. It felt like it was going to be a real narrative strength: You get to play the protagonist and the antagonist in the same story." p>There you have it. One of the protagonists is also the game's antagonist. Like I said, this may not be a complete disaster. 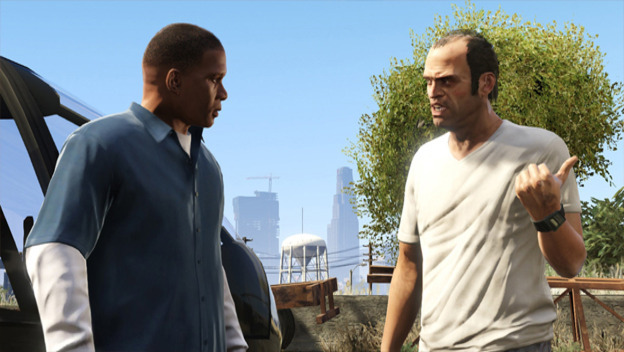 We don't know whether the antagonist is Michael, Trevor, or Franklin. And this information might be revealed very early in the campaign. But if it were meant to be a surprise, The New York Times may have just ruined everything. In the meantime, I suggest we all try to forget that this ever happened, and liberally drinking vodka will only help. Sorry, liver. Grand Theft Auto is more important.